Teams have 72 hours to re-design an urban area in a pretty crumby satellite city in Israel. It’s guerilla urban architecture. We’ve all had the same thought: it’s been built, we’re stuck with it. This ugly urban mess we have created is here to stay and there’s nothing we can do about it; may as well put up our feet, grab a lager, and watch re-runs of “The Days of Our Lives” to wile away the misery. Others challenge that notion, and show the rest of us couch-potatoes that actually we have an extraordinary capacity for innovation and have the necessary power to reverse our unsustainable trends. And not only can we fix our mistakes during this lifetime (instead of leaving it for our kids to deal with), we can make serious headway over a weekend. 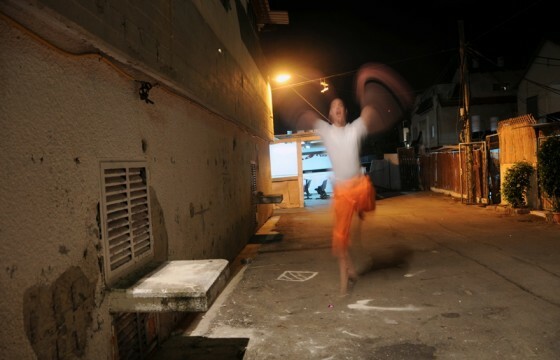 They started with the 72 Hour Urban Action Program in Israel’s less-than-glamorous Bat Yam. 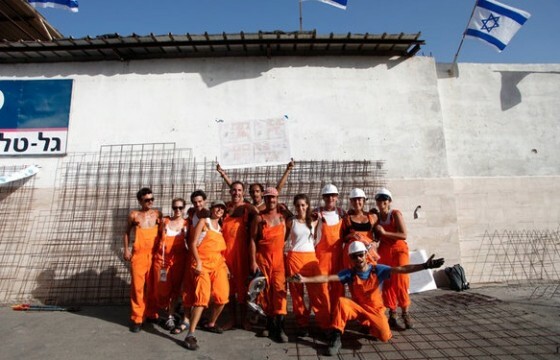 72 Hour Urban Action recruited 10 teams of architects from around the world, 122 contestants in total, who spent 72 hours in an elementary school last week during the Sukkot Festival. There they collectively “ate, slept, and brain-stormed,” wrote Anthony Grant. Each team, which came from Israel, Morocco, the United States, South Korea, Italy, Taiwan, Russia, Bulgaria and Turkey, and who were selected based on their portfolios, raced to design and construct a full-scale urban project in just 72 hours. In order to complete this project, they were provided with food and accommodation, a $2,500 materials budget, bright orange overalls, construction equipment, and an “angel” team of construction and safety engineers who gave them support. They brought their own tools and portable computers. Bat Yam’s mayor – Shlomo Lahiani and Glenn Weiss, the manager of Public Art & Design for the New York Times Square Alliance, were part of a five member jury that will decide which team will win the $3,800 prize money and the opportunity to have their work featured in Bat Yam permanently. “We live in a world where more and more elements are becoming privatized, meaning that they belong to someone. I am looking to find ways to work within this reality and to allow for privately owned and publicly accessible places and services where everybody gains,” Mr. Halbrecht told the magazine.